Early in 1984, national security adviser Robert McFarlane, with the support of CIA Director William Casey, proposed encouraging other countries to contribute to the "Contras" as the Nicaraguan group was known, and Lt. Col. Oliver North, then a member of the National Security Council (NSC) staff, was directed to establish a covert bank account to facilitate this. Later that year, when the idea of third-party contributions was discussed with President Reagan, Vice-President Bush, and Secretary of State Shultz, among others, Shultz warned that approaching a third country could be viewed as an "impeachable offense". McFarlane did not divulge the existence of the covert bank account, or that Saudi Arabia was already contributing at that time. Late in 1984 Congress passed tougher restrictions on contra aid, explicitly stating that no government agency could pledge or spend funds that would support paramilitary operations in Nicaragua. The administration's response to this was simply to shift the source of funds from the CIA to the NSC. Oliver North enlisted the help of retired U.S. Air Force Major General Secord, who became an arms broker for the contras. North's activities were discussed at a meeting May 16, 1986 that included President Reagan, Vice President Bush, Secretary of State Shultz, Secretary of Defense Weinberger, and others. This was just after North's operation, dubbed "the Enterprise" had received $15 million from an arms sale to Iran. In June of 1986 the House Intelligence and Foreign Affairs committee requested reassurances from the President that the Boland amendment was being complied with. Newly appointed National Security Adviser John Poindexter knowingly repeated earlier false statements that the NSC staff "were in compliance with both the spirit and letter" of the Boland Amendments. The committee then asked to meet with North, who denied providing military advice or funding to the contras. On October 5, 1986, a military transport plane operated by the "Enterprise" was shot down by Nicaraguan government troops. The lone survivor, Eugene Hasenfus, said while in custody that he worked for the CIA. With Congress about to approve the Administration's aid package for the contras, CIA officials truthfully stated that Hasenfus did not work for the CIA. They denied knowing other facts, or whether the U.S. Government was involved, however. The false statements had the desired effect, and Congress approved the contra aid package on October 17. The second part of the Iran-Contra scheme involved the sale of U.S. arms to Iran, both indirectly through Israel, and directly after President Reagan signed an intelligence "Finding." Despite Reagan's public statement on June 1985 that "America will never make concessions to terrorists," internally the administration justified the arms sales as a way of trying to obtain the return of U.S. hostages kidnapped in Lebanon and elsewhere, and also limiting Soviet influence in the Middle East. Defense Secretary Caspar Weinberger raised concerns that sale of weapons to Iran violated the Arms Export Control Act. Further law required that Congress be notified of any shipment of TOW missiles to Israel exceeding $14 million, or any resale by Israel. In the face of these complications, on January 17 President Reagan approved a Finding that authorized the sale through third parties. Attorney General Edwin Meese approved the transaction under the National Security Act, without notice to Congress. On February 27, 1986 1000 TOW missiles were delivered to Iran, but no hostages were released. The Iranians subsequently admitted that they could not arrange the release of all the Beirut hostages, but could possibly facilitate the release of two. Nonetheless, North had structured the deal so that funds would pass through an "Enterprise" account before payment was made to the CIA. The details of this plan were outlined in a a memorandum of April 1986, titled "Release of the American Hostages in Beirut"
Despite squabbling over price of spare parts, possibly because North had inflated the prices he passed along to the Iranians, one of the Beirut hostages, Father Lawrence Jenco was released on July 24, 1986. The Iranians threatened to kill an American hostage and two Iranians who had helped broker the deal, if spare parts were not delivered. Vice President Bush met on July 29 in the King David Hotel in Jerusalem with Israeli counter-terrorism expert Amiram Nir, who provided them with a status report on the Iran arms deal. Bush would later describe the meeting as a counter terrorism discussion and review of hostage-rescue proposals. Al-Shiraa, a Lebanese publication, reported on November 3, 1986 that former national security adviser Robert McFarlane had met with Iranian Speaker of Parliament Rafsanjani. Quickly the arms sales became the day's leading news story. Senior White House advisers met a week later to try to head off the policy disaster, but could only agree to say nothing. CIA director William Casey, and national security adviser Poindexter briefed members of Congress on November 21st. In those briefings both men lied about U.S. involvement in the shipment of HAWK missiles to Iran in 1985. Casey also misrepresented other aspects of the arms sales including the extent of presidential approval, and who was running the operation. Attorney General Meese advised President Reagan that it would be necessary to develop a consistent summary of the entire matter. Meese then called Poindexter's office asking that all relevant documents be compiled. Poindexter and North then began to destroy documents, including the only known copy of the "Finding" from December 1985 that identified the arms sales as an arms-for-hostages deal. Investigators also found a copy of North's "Release of the American Hostages in Beirut" detailing the diversion of funds for support of the contras in Nicaragua. Four days later after briefing senior White House advisers including Vice President Bush, chief of staff Donald Regan, Secretary of State Shultz, Secretary of Defense Weinberger, and others, Attorney General Meese announced the diversion of funds at a press conference, and that Poindexter had resigned and North reassigned. On Christmas Eve, 1992, having succeeded Ronald Reagan in 1989, then President George Bush committed what is probably his most memorable act in connection with the Iran-Contra affair: he pardoned former Secretary of Defense Caspar Weinberger and five other Iran-Contra defendants, charging that the Independent Counsel was attempting "criminalization of policy differences." His action represented the first time a President had pardoned someone in whose trial he might have been called as a witness. 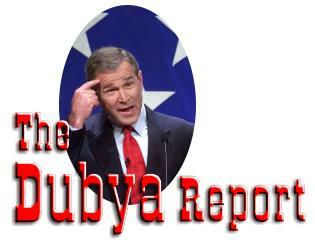 Unfortunately, the criminal investigation of Bush himself was not complete. The Office of the Independent Counsel had been preoccupied with the investigation and trials of Oliver North and John Poindexter, and by the time the investigation had broadened to the point where questioning Bush would have been indicated, he had been elected President. Bush had acknowledged in December of 1986 and January of 1988 that he was regularly briefed concerning the Iran arms sales. This conflicted with his public assertion that he was "out of the loop," unaware of Secretary of State Shultz's strong opposition to the deal, unaware of the diversion of proceeds to support the contras, or of North's operation resupplying the contras. The Independent Counsel was made aware of the existence of Bush's diary in 1992, and this triggered a special investigation as to why it had not been produced earlier. Subsequent examination of the diary showed that it should have been provided in response to at least two requests for documents dating back to 1987. Following disclosure of the diary, Bush retained private counsel, and reported through counsel that he did not recall the document request. Substantial evidence exists that Bush was, in fact, aware of the request, and that it had been communicated to him by C. Boyden Gray. Howard Baker in the presence of the President, told me today that George Shultz had kept 700 pages of personal notes, dictated to his staff . . . Notes on personal meetings he had with the President. I found this almost inconceivable. Not only that he kept the notes, but that he'd turned them all over to Congress . . . I would never do it. I would never surrender such documents and I wouldn't keep such detailed notes. -- Bush Diary, 7/20/87. In the summer of 1992 the Independent Counsel's office informed the White House that new questions for President Bush had arisen since his last interview in 1988. The White House did not respond to this information. Bush's public posture was that he was cooperating with the Independent Counsel, but inside the White House there were discussions about not allowing an interview. The Independent Counsel decided against seeking a Grand Jury subpoena for Bush because it viewed criminal prosecution unlikely, and did not want to present an appearance of retaliating for the Weinberger pardon. Whether Administration officials had tried to create a false account of the Iran arms sales to avoid appearances of illegality or confrontation with Congress. Specifically Bush was present at a meeting with senior White House Advisers and a meeting with congressional leaders at which Poindexter described the Iran deal as having begun in 1986 (whereas it actually began in 1985). None of these questions would be answered, however, since after pardoning the six conspirators, Bush refused to be interviewed concerning any aspect of the Iran-Contra matter other than his failure to provide his diary.